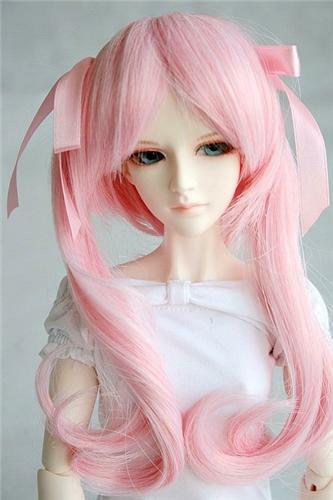 71# Wavy Pigtail Pink Wig 1/3 SD DZ DOD BJD Dollfie 8-9"
A brand new wig for SD DZ AOD DOD LUTS 1/3 BJD dollfie. Fits on a SD DZ AOD DOD LUTS (24"/60cm) 1/3 BJD dollfie Luts and other similar sized ball joint dolls. We also have other style wig for BJD dollfie Luts and other similar sized ball joint dolls. If you like please choice in my store. 54# Gold & Yellow Wavy Long Wig 1/4 MSD DOD DZ BJD Dollfie 7-8"
24# Pigtail Blonde Wig 1/3 SD DZ AOD DOD BJD Dollfie 8-9"
78# Blonde Wavy Long Wig 1/3 SD DOD DZ BJD Dollfie 8-9"